Alin Schubert is the Director of Operations of the Bridge International Group at Compass. Her experience includes working with property investors and small businesses and leveraging the real estate market to enhance their individual investments. Her goal in the real estate industry is to provide her clients with knowledge and to come away from a real estate transaction with not only a strategic purchase or lease, but also a better understanding of the commercial real estate industry in Chicago as a whole. Alin is highly skilled in research and analysis. With these skills, she performs site selection for her buyers and tenants that exactly suit their needs and wants. Sellers and landlords benefit from her ability to match quality tenants and buyers to maximize their investments. Throughout all the work she does for her clients, Alin helps them foster and maintain great communication with one another to create a win-win deal that promotes long-term business relationships. 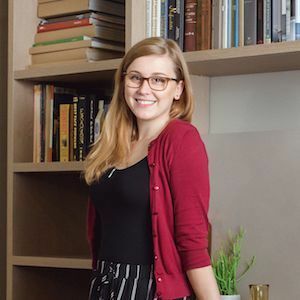 When she isn’t helping out the brokers at Bridge with their business strategies or helping her clients with their real estate needs, you can usually find Alin at the Field Museum. She serves at Membership Co-Chair for the Field Associates, a young professionals board, where she onboards new members and manages the committee involvement. Memberships: Chicago Association of Realtors, Certified Commercial Investment Members, and the Executive Committee of the Field Associates.